IDBI Recruitment 2018-2019 Apply Online Application Form for 760 Executive Posts Apply Online through Official website www.idbi.com. Candidates Apply the last date for submission of Online applications is 28.02.2018. 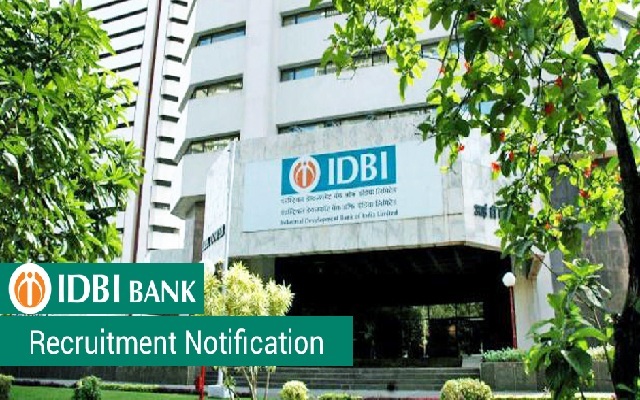 Candidates will have to apply before carefully reading the advertisement regarding the process of examinations and interview, eligibility criteria, IDBI Recruitment 2018-760 Executive Jobs.